So You’re an Influencer… But Are You Following These 4 Crucial Areas of Influencer Responsibility? With great digital identities comes great influencer responsibility. As influencers, we have the ability to bias people. So we need to be thinking of some questions that reflect who we are online and what it is we want to share with others. What is your purpose in your business? Take a step back and make sure your influence is making a difference. First things first: let’s discuss your importance as an influencer. You might think that just because you don’t have the numbers, the role you play isn’t as important. Maybe they’re not sure about how they feel as well! You are facilitating a discussion. What is your responsibility to your industry? The industry is constantly changing, and if you don’t speak about it, who do you think will? Speak about your industry to your community. Get their thoughts and support. Ex: net neutrality. You can’t expect others to speak to this. Educate your audience because if they don’t get the information from you, they won’t get it anywhere else. Ex: Reformation is a really good example of a company doing a great job in their industry. Their responsibility and their mission is in their DNA. It’s who they are and it completely shapes them. They are an approachable brand, you never feel like you’re being talked down to. People always have the option to engage. ex. Credit people’s content! We all have created versions of content you’ve seen on other peoples site. Credit them! I loved the way X did this, and I wanted to create my own version. This is true for blog sites too! They are different ages, make sure you’re aware of their ages. They probably don’t know your backstory. Most of your visitors are new on blog posts! Reinforce your brand and share in each post. It is important to talk about finances because Influencing is largely a business made up of women. It’s important to teach others how to make money and establish a business- help each other out! You need to let audiences know that your affiliate links are not a trap! Share with your audience and let them know that you depend on it. An extreme example is Everlane. They have a map of their factories with numbers and totally open honest numbers. They share their cost and retail prices. Ask yourself: Can I do a financial report? Regarding ads: tell your audience that you use them so that you can keep your content free! Disclaim and explain! Explain how much time you’re spending on it, why it’s paid, etc. Be an example! If brands are not paying you, it’s a big problem! If they aren’t paying you, show them why $ is important. Be an example on how to run a business with financial integrity. Things are happening, choose where you stand. You don’t have to disclose a political side but talk about topics that are important to you! If someone was only on your blog, another only on your IG feed, and another only on your IG stories, would they all describe the same person? Only blog about things you have tried! Research before taking action and cover yourself! Think like a brand… things are always going to change! We’re all growing up- so is your audience, that is fine! Tie it into your identity and what makes you special. Talk about what matters to you. Here’s the thing. If it matters to you, it probably matters to others. Your identity is yours and yours alone! Be a good example for other people. Your core audience will reach a glass ceiling. You grow when you can reach a lot of different people! If you’re going to speak to something near and dear to your heart, speak about it more than once. It gives you authority. People will spend longer on pages because you’ve built credibility. Listen and moderate: create that safe space. Don’t let the haters have their way of course! Because if they hate, they’re hating on others who look and think like you. So moderate! I hope this was helpful to you all! Use your influencer power well! You’ve got influencer responsibility, so follow through and do the best work you can! If you found this helpful, please share it to Pinterest! You can use the image below for easy pinning! 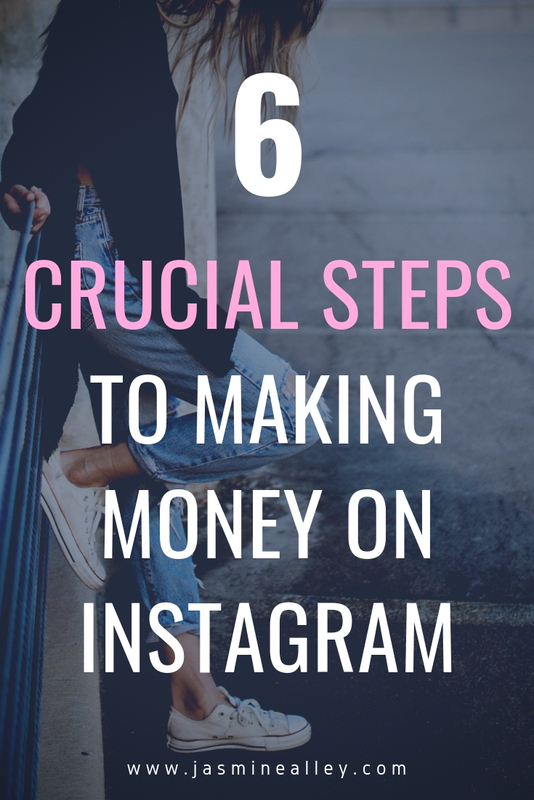 So many people ask me how to make money on Instagram. I wish that the simple act of turning your Instagram into a Business Account was all it took to make your Instagram an actual business. A few steps on the ‘gram and BOOM- you start earning cold hard cash. Sorry folks, it just isn’t that easy. So what exactly does it take to get to that point? Partnering with brands and doing collaborations is key for turning your Instagram into a business. That’s the way Influencers are able to make money from their Instagrams. 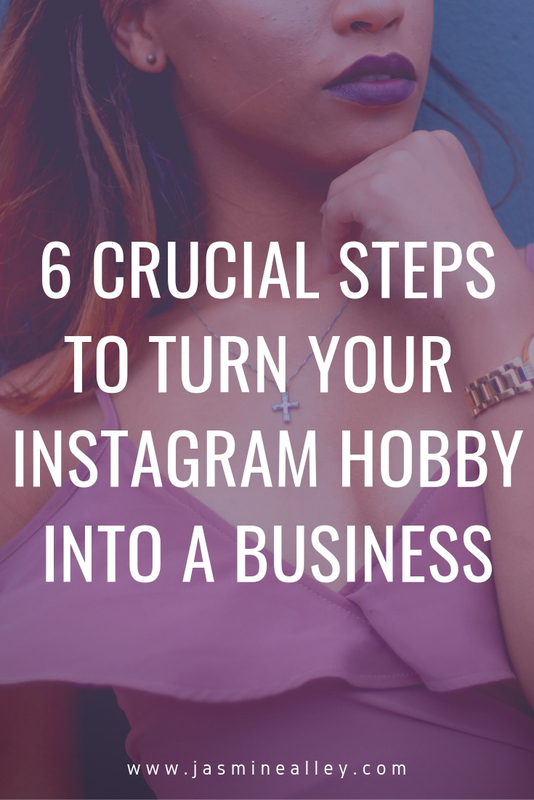 So how do you make Instagram your business? 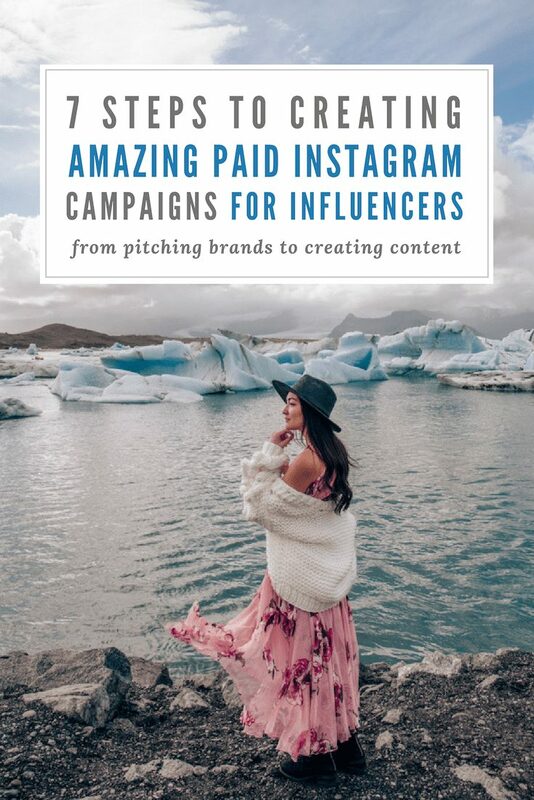 On this blog post, I’m going to provide some important points that I learned from Lynsey Eaton from Estate Five Media, a company that, simply put, manages Influencers and their collaborations. I’m also combining it with personal experience and lessons I’ve learned as an Influencer. Today’s Influencers who look at things with a long term perspective and a knowledge of their platform are the ones doing things right. Universally, you should have high quality photos. But think about your niche. What do people like to see when they are scrolling? This goes beyond the photo to the caption as well! Create a consistent look across your feed. I’ll be writing a more detailed post on how to create good photos and a good feed. This article is thinking the more big picture action items! Outside of Instagram: Be prepared for what’s next. Instagram did not exist five years ago! Look for change. When people approach you about new platforms, test them if you think they could be useful! Do IG Lives, IG Stories, etc. Otherwise you’re missing a large majority of your audience! It’s constantly changing its algorithm! Through thick and thin, be sure to follow these tips to remain consistently GOOD at what you do. If you create a community then people feel like they’re a part of your inner circle! If you’re focused on building numbers and not a community, imagine if a new platform emerged. You’re going to move over to it and no one is going to go with you! HOW TO DO THIS: people are looking to be understood! If you are not communicating with them, being open, showing the good bad and ugly, they won’t feel like that. There are ways to be personable without being too open. Know that your audience is different than anyone elses. Actually READ CAPTIONS and respond thoughtfully!!! Don’t try to be everybody else! Reality is, you need to have a voice. Make sure your story is very much yours. Find your voice and find that thing that is yours. What is your message? Stay true to that and don’t try to do what everyone else is doing! 3 word captions just don’t fly anymore! Your pitches need to be thoughtful! Why will it appeal to your audience? How will it increase their exposure, their following, their bottom line? Get more info about creating a branded campaign (including a sample pitch) on my post here! Brands working with you care about relating to your audience. Figure out what your brand is currently posting. How can it relate to your audience? The best clients for brands don’t just post when they’re paid to post. Organically post about things! If you take on a partnership that dilutes your brand, it dilutes other brands you’ve worked with also. Only take on partnerships that work with your personal brand. Know your audience. This is why people pay you! Communication is key. Respond to emails within 24 hours!!! If someone sends you a pitch with your name in it, whether you’re interested or not, you need to respond. Be considerate enough to say no! Remember, the goal is to get repeat work! Do more than they paid you to do! Organic messaging does more for your audience! When it makes sense, overperform. Exceed people’s expectations! If they wanted a celebrity, they’d get one! Ex: When it’s a brand that is SO on brand for you, where you’ll have the opportunity to build a meaningful relationship with them, to then convince them to be a partner with you, then go with their offer. If you have an opportunity to engage in conversation and make meaningful connections with people at that brand- do it! Don’t just be nice, ask them about themselves. You never know where they are going to end up! And make good on them! If you don’t turn things in on time, own up to it. Be professional and say I messed this up, what can I do for you to make it better? If Instagram disappeared tomorrow, and it was your only income, what then? At the end of the day, you don’t own Instagram. And even if you do, the only thing people are focused on are IG followers, but that doesn’t necessarily mean money! Build a business based on selling information, doing learning sessions, educational things, selling your images, creating a blog. Have that as a priority or a back up instead of investing all of your time and money on a platform that could change tomorrow. Think: what do I own? What can I market? My personal example of this is my Lightroom Presets that I sell! Key takeaways you won’t wanna forget! So there you have it! 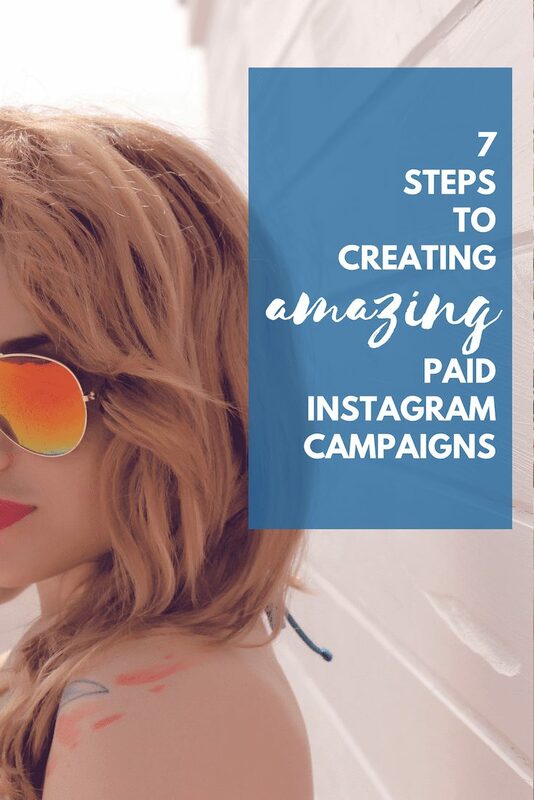 Now you know how to make money on Instagram! Though these things don’t guarantee income, they are crucial to getting there! Your next step is creating content and figuring out how to get campaigns! Check out exactly how to do that here! I hope this was packed with useful information that you can apply to your personal brand! P.S. If you found this post helpful, please share it to Pinterest! That way you can save it for later and it would help me out a ton! You can use this image for easy pinning! 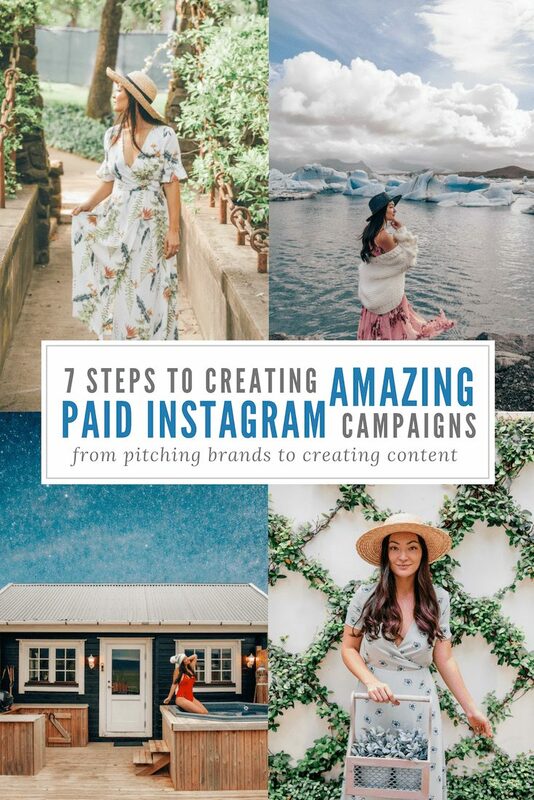 Today I want to focus on how to work with other companies to create amazing branded Instagram campaigns that generate results. This has a lot of key components to it, and I’ll do my best to cover them all, from pitching brands to executing engaging content. When brands reach out to collaborate, as influencers we play a part in branding for these companies. They’ve chosen us for who we are, our photography/style/personality, but most of all for our audience and what we mean to them. It’s up to us to deliver on creating content that meets (and hopefully surpasses) brand expectations. 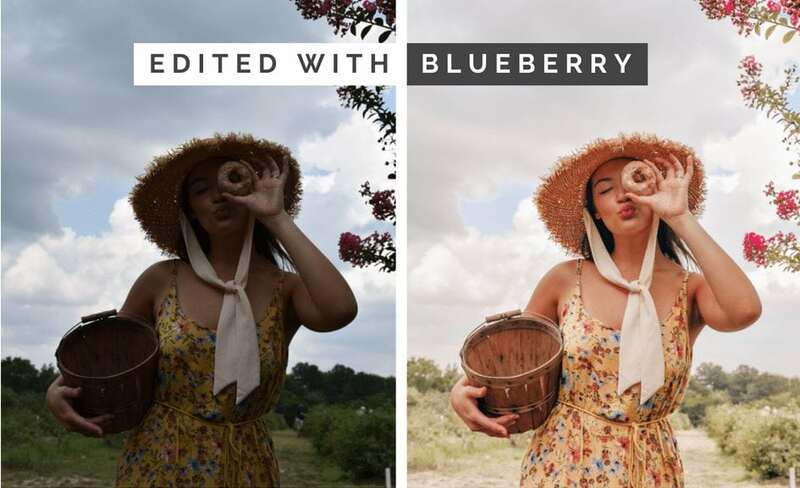 Here are seven steps to take when creating branded Instagram content that you should always think through for collaborations. These steps and tips have been curated from personal experience and notes from a Chloe Digital workshop that I went to- so hopefully this advice is the cream of the crop! When brainstorming before creating a campaign, outline the goals that you want to personally meet so you have direction and a strategy. It’s easy to say that you want to get brand visibility or get more followers, but you need specifics. What do I want my personal message to be to the world? Five years from now, what do I see myself doing on social media? What is my voice on social media? In order to create a campaign that is going to have a strong strategy, it is important to have goals that can be measured. You can think of your goals as motivations for posting… or why you do what you do. Jot down your top 3 goals. 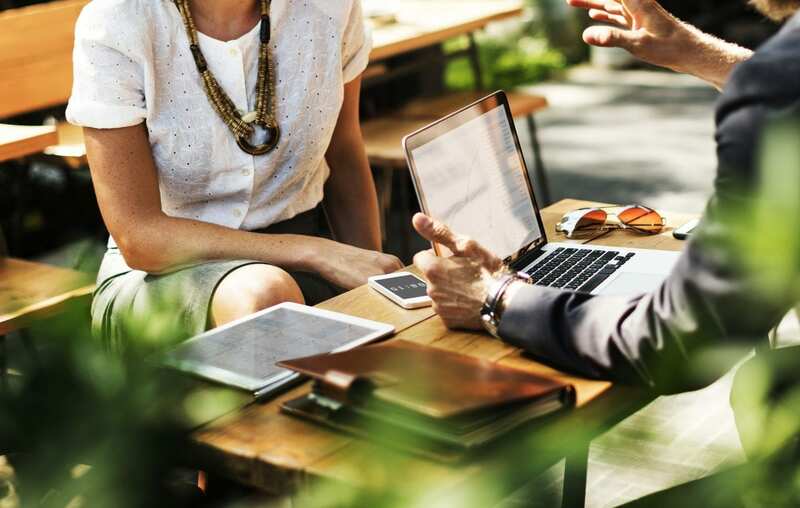 Now that you’ve got your goals, it’s crucial to understand who exactly your audience is, where they are, because this will determine if your brand partner is a good fit. It’ll also influence how you pitch the brand. As an influencer, you know your audience best. Sometimes brands make assumptions about your audience or don’t consider who you reach, and this can lead to a disconnected message that does not work. I’ve definitely turned away collaborations because my audience would not respond to what the brand was offering. That is only fair to the brand and to my followers. If you frequently go on hikes, reach out to your favorite shoe company or workout gear company. Let them know that you’re already a consumer of their product. Find someone in the PR/marketing department of a company. A simple Google search will likely help you find this person. Refer to them by name when you email them! If you’re unable to find a contact, sometimes sending a DM on Instagram to the brand can help. If you have brand loyalty, make it long term! Allow brands that you work with to see that there is an opportunity to meet a demand that has not been met with your audience yet. Since you know your audience, explain why you think your audience would love their brand! Sometimes it’s best to keep a pitch short and sweet, but I prefer giving details to show I’ve thought things through. Give an example of a post or story you want to share with your audience. Show that you’ve thought through how you could best display their product/experience to others. I also love to take a snapshot of my Instagram instead of sending over a media kit right away since it literally shows your content in one photo without them having to click any links. You’ve put a lot of work into beautifying your feed- use that to your advantage! Wait for a response before discussing pricing. Let them get to know you first before you make any assumptions about money. 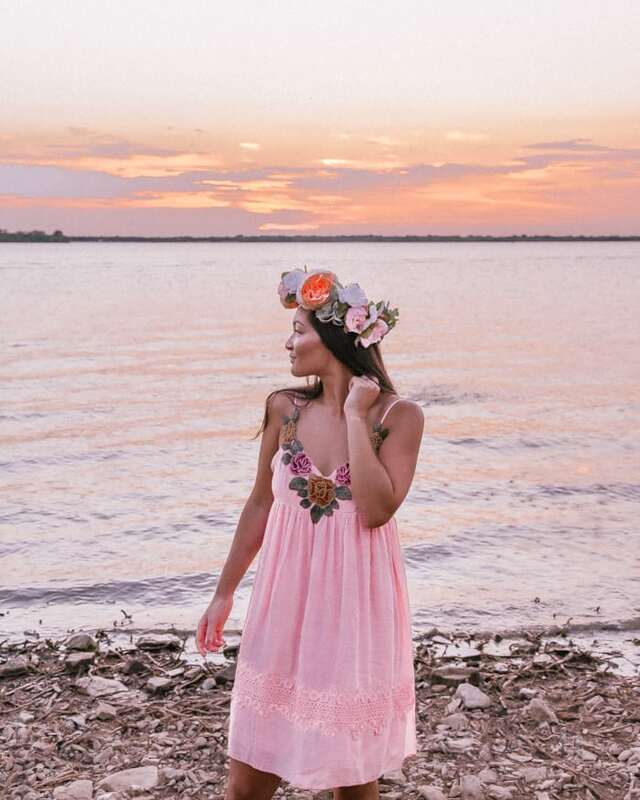 My name is Jasmine (@jasminealley), and I am a travel blogger and Instagram influencer. I love to showcase travel brands to my followers and would love to feature your hotel when I visit Iceland next month. I currently have 41k followers on Instagram; below is a snapshot of my Instagram right now. I hope you can see that I love to take beautiful photos and I’d love to show off your beautiful hotel to my audience! The majority are in the age range of 25-34 and are interested in travel, and I think they would choose your hotel in a heartbeat when visiting the area! For a collaboration of this nature, I would love to exchange an Instagram post and story for a complimentary stay on August 24th. Is that something you’d be interested in? If you need more details, I’m happy to email you my media kit as well. I appreciate your time and look forward to hearing back! You can see that I tell the brand’s story of using recycled water bottles while creating conversation around the question. Ask yourself questions and think through the messaging. What is the purpose of the campaign? What message do you want to get across? Is there a story that the brand is trying to tell? Can you relate the brand’s story to whatever you’re already discussing? In stories: Instagram wants you to use their polls, questions, sliders, etc. So use them! It helps you with the IG algorithm and you can gain insight through their answers for either yourself or the brand. In posts: always try to ask a question! Remember that your content should always be a conversation starter! Does your message have a clear call to action? Is your message or concept interactive and outside of the box? How does your concept/campaign stay ahead of the curve against competitors? And of course, make sure you use the hashtags and tags that are requested, as well as #ad or “in partnership with” to be FTC compliant. Now that you know your goals, your audience, and your campaign content, it’s time to combine those elements and execute it! Remember that engagement is KEY! Responding to comments is so important for your engagement and for the brand. Show that you care about their product enough to respond to your followers when they reference it! Create a KPI sheet (Key Performance Indicator) monthly/quarterly/annually and set goals for yourself that you can track. Don’t forget to send over any story insights that the brands ask for! It’s also important to THINK LONG TERM. Your partnership might not be over! What is your campaign’s strategy to stay connected with your audience and encourage them to keep engaging in the future? Is there an overall theme that you’re sticking to in your posts that your followers can notice and remember? I continue tagging brands I’ve worked with when I happen to be using or wearing their product, like shoes or luggage, in subsequent posts. For example, I started off working with eBags luggage on a gift/post basis. But I kept tagging them in posts when I happened to be traveling with their luggage. They noticed that I was authentically using their gear, and this turned into a paid partnership a few months later! Be realistic when sending brands information about your following and engagement. Definitely underpromise and overdeliver. You don’t want to let brands down- ESPECIALLY if they are paying you! Your integrity is at stake! Make sure you have a contract if you’re doing a paid campaign. Create content that holds value such as tutorials, instructionals, downloadables, etc. Don’t get hung up on numbers! Get hung up on the service- you’re serving your community if you have a thoughtful campaign! Remember that a lot of things are out of your control, like the Instagram algorithm or how many of your followers are actually seeing your post. If you’ve done your best work, relax and know that you did the best you can! Not many people swiped up on your stories link? That might mean you didn’t convert a lot of sales but remember- that’s not your job. You’re the influencer and you are branding for the company. Your followers might not have bought the product, but it doesn’t mean they aren’t thinking about it! Above all, stay true to yourself, who you are, and your voice. Cheesy, but so true! And if you are or want to be an influencer, read this post on the four things you simply must do to be the best influencer you can be! If you found this post helpful, please share it to Pinterest! You can use this image below to make pinning easier! Flower crowns are all over Instagram. 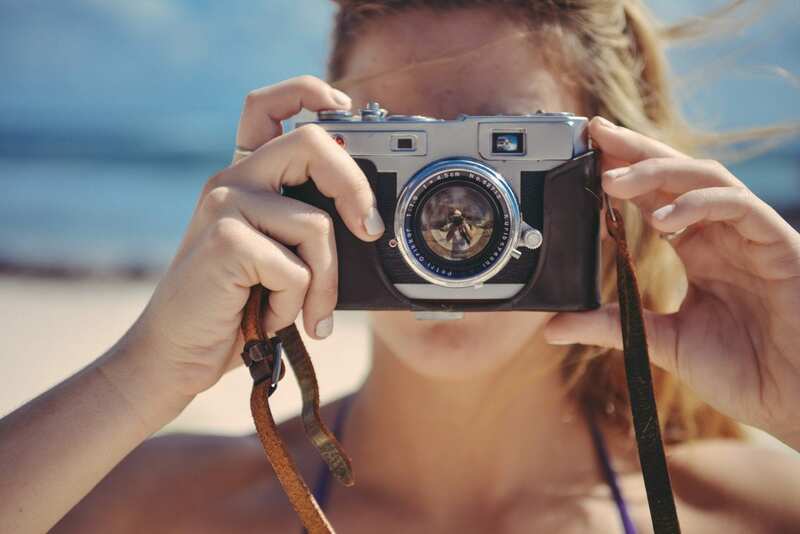 From girly beach shots to portrait photos, they’re a fun way to spice up your Instagram photo. But I’ve found myself looking wistfully at gorgeous photos with flower crowns (like this one or this one), wondering how they got their flower crowns. Aggie and Lisa, the two women from my examples, probably were gifted theirs since they’re renowned Instagrammers, but what about the rest of us? Where do you purchase a flower crown without breaking the bank? Well last weekend I really wanted to have a flower crown in one of my posts- they’re just so gorgeous! Plus, it seems like all of the best Instagrammers out there are doing it. Obviously those things are subjective, but long story short, I’ve seen them everywhere and decided to try my hand at making a flower crown! Here are some step-by-step instructions on how to make your own with artificial flowers. The same technique can be applied to real flowers, you’ll just have to be more careful about being delicate with the petals. TIP: get different sized flowers, it makes your crown more intricate. Also, set aside at least an hour. It will most likely take at least that long. Make your wire circle by measuring a halo around your head. TIP: It’s okay if you make it too big, but you’re in a tough spot if you make it too small. Trim your stems. You’ll break up the bunches into individual stems using your wire cutters (or flower cutters if you’re using real flowers). TIP: try to leave about three inches of stem so that when it comes to taping you have plenty of room to secure it. Start taping the stems to the wire halo. I started with the larger flowers and made my way around. You can roughly plan out your flower order before taping. TIP: keep the green tape taut so that it does its job (it won’t stick if it’s loose). Go all the way around. Measure it against your head circumference to ensure the right fit. If it’s too loose, you can tighten it by twisting a section off. TIP: Make sure your flowers are all facing the same direction! You can bend the wire stems to make sure your flowers are facing out. You can choose how you want your flowers to be spread throughout. I chose for flowers to be in front and leaves to be around the back. Feel free to do all flowers if you want! I also tapered the size down (ie. big flowers in the front and smaller ones on the sides). I loved the way mine turned out! It’s such a fun way to bring some girly romance into a photo. Save these steps for later by sharing this post to Pinterest! You can use this image for easy pinning! Have you ever wondered what goes on behind the scenes in the life of a blogger/Instagrammer? Well look no further. I’m sharing all about the crazy things we do for the perfect photo here- featuring our weekend countryside getaway to Palestine, Texas! One fun fact about me: I have wanted to be a country girl ever since my senior year of high school. That was when I fell in love with country music and starting dreaming of Texas. When I moved to Dallas, I realized it was not what I had expected. I very quickly understood that Dallas was devoid of horses, wide pastures, and cowboy boots. But Harrison, being the amazing husband he is, has done a great job taking me to the countryside and taking me horseback riding to compensate. It has only grown my love for the Texas countryside! So you can imagine my delight when my wonderful blogger best friend, Mary (you can find her website here and Instagram here), invited Harrison and me to her grandparent’s place in Palestine, TX. It absolutely blew my mind. I highly recommend a weekend countryside getaway to everyone! The great thing about escaping to the countryside with my blogger bestie and our Instagram Husbands is that it was PERFECT for a photoshoot! And being a bunch of bloggers, we planned in advance. We knew exactly what photos we wanted to take and we had each other’s expertise and thoughts to bounce off of. If you haven’t ever done a lifestyle/travel-style photoshoot, let me tell you: there’s a LOT that goes on behind the scenes. Here are some highlights from the weekend with some behind the scenes stories. I hope you find them as entertaining as they were in person! If you follow me on Instagram, you might notice my love for picnics. I think they are so much fun and a beautiful way to enjoy nature. Behind the scenes, they can be tricky, but sometimes it just makes them all the more memorable. For each of these three photos, something was always a bit wrong- but you *hopefully* can’t tell! The grapefruit cheers- we accidentally cut our grapefruits the “wrong” way. Instead of the perfect grapefruit star you see in photos, we cut it the way you’d cut an orange. To make up for it, we cut them in half the right way, and smushed our two halves together for the photo. So we’re legit cracking up because there’s grapefruit juice running down our arms and we have to be super careful to not split the halves by accident. Sunset is sacred time for photographers and bloggers. We got distracted from setting up our sangria and blanket because we ran into some of Mary’s family! As we talked to them, the sun sank lower and lower. We ended up making a mad dash for the photo! Fortunately, we made it just as the sun sank behind the trees! Setting up a whole picnic under the scorching hot Texas sun with bugs flying around is not as glamorous as you’d expect. While we poured our sweat and tears into this picnic set up, our husbands waited in the shade for us to meticulously place each item. After the shoot, we dragged our whole blanket into the shade and had an epic feast. In order to get these shots, we had to climb onto EXTREMELY tall haybales. With that, we needed to figure out how to get on said haybales. Fortunately, we had a big truck we could back up near the bales. After a few leaps of faith, we were able to get from the truck bed onto the bales. But there definitely was a good half a minute where I had one leg on the truck and one leg on the bale split-style. Once we were on the bales, the photoshoot portion was pretty smooth, except when our husbands shadows kept getting in the pictures. We found the right angles at the end. I also learned that there is no way to get a cute running picture on haybales. None at all. I already told my sunset story, but one thing that I’ve learned from my photos is sometimes, even as pretty as a photo is, it simply won’t fit into my Instagram feed. I love being able to share photos on here with you all, but that’s the only place some of these pictures will go. Take the reflecting trees photo: it’s simply too dark to fit onto my feed. But it’s stunning nonetheless! There are so many photos that bloggers take that they simply don’t share because they don’t match aesthetically. Fun fact! We went to an old oil rig on Mary’s grandparent’s land to take a look. We saw a deer darting across the field when we arrived, and hoped for more deer. (Spoiler alert: we never saw any other deer). But what we did find was a bunch of gorgeous wildflowers! The only thing about wildflowers and tall grass is they are accompanied by a fear of snakes. Behind the scenes, we jumped around the field hoping that if we were quick enough no snakes would have time to bite. Realistically, speed probably would not match up against a quick snake bite, but it comforted us anyways. Good news though- we didn’t get bitten, so maybe it did work after all! I love collaborating with companies and I only promote products I actually love. But sometimes collabs don’t work out the way you plan. During our weekend in Palestine, I wanted to take a photo with my new sunglasses from Diff. I absolutely love Diff sunglasses (I have three pairs that I wear all the time), but unfortunately this pair just didn’t fit me well!! All weekend I was taking random shots with the sunglasses- I probably took over 20 different shots before finding ONE that I liked. (That’s this photo by the way). Photo 2: How many people can fit on a boat? I love boats. I love water. I love boats on water. But sometimes, we take things a little far in order to be on a boat on water. The four of us climbed onto a fishing boat to get a little relaxation time out on the lake. We didn’t realize how hard it was to push off of shore. We didn’t realize the boat was meant for 2. And we definitely didn’t realize that we’d have to put so much effort into rowing. Four city slickers on one two-person fishing boat in the middle of a lake with no fishing gear. I’m pretty sure we made some locals question our intelligence. Also, if you look closely at the second photo, you’ll see that Harrison’s face is a strange streak-y white. This is because of his all-natural sunscreen which works wonders, but does not rub in. But anything to get him on the boat without getting sunburned so he can take my photos- right?? Don’t the fish know that I just want to catch one for a picture?? I’ll throw it back ASAP, I promise!! They apparently did not get the memo. I got this super cute photo of Mary with a fish she caught because she’s awesome at fishing. I am not so awesome at fishing, and as a result, I have no picture with a fish. Harrison had caught four fish by the time I realized I was never going to get my line far out enough. I wanted him to catch a fish for me, so that I could then take a picture with it. Of course, once I decided that, all the fish in the lake made a pact to not get caught. Ergo, there is no picture of me with a fish. Sometimes we take chances for photos. Whether it’s sticking your head out of a truck while some not-so-happy longhorns chase you, or plowing through tall grass not knowing what slithers inside just to capture a pic of horses, bloggers do it all. But honestly, it almost always adds to the fun. Since becoming a blogger, I’ve been motivated to explore new places, step outside of my shell, and capture moments of my life that I otherwise wouldn’t! Our honeymoon to Hawaii three years ago- we hardly took ANY photos. Our trip to Paris? Hundreds and hundreds! Capturing memories is something that I love doing. I hope you enjoy the snapshots of these memories as much as I do! This past weekend was beautifully sunny and mild, which made it the perfect occasion for a picnic. As an Instagrammer/blogger, I am always looking to create beautiful photos. 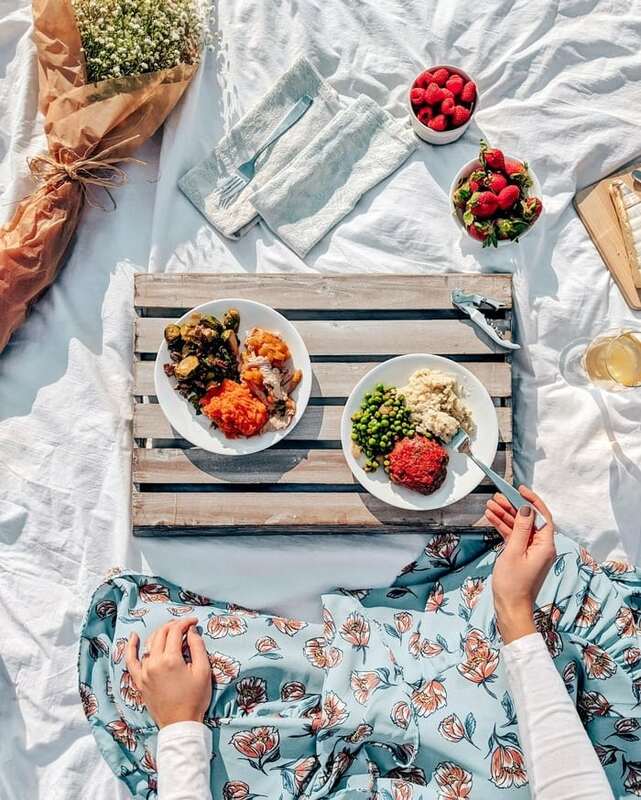 Picnics always make for gorgeous and fun photos, so I’ve put together a few tips on how to create a picture-perfect picnic! First things first, you’ll need to choose a pretty setting. If you’re having your picnic next to a bunch of cars, that picture is going to be less dreamy than a setting in nature. I like having open skies in my photos because I love seeing shades of blue on my blog and Instagram feed. With a pretty bridge and open fields, Williams Park is located in the heart of the Highland Park neighborhood and offers a pretty lake view. It was also key because of its proximity to our place- you don’t want to drive too far or your food can get cold! We had just received a bunch of pre-made meals from Freshly, an awesome company that ships fresh, delicious, and nutritious meals straight to your door. We’d been eating them for dinner all week (easiest dinner ever!! ), but I realized they would be perfect for a picnic! All you have to do is heat them up in the microwave and insulate them to keep them warm. I decided to “make” (aka heat up) the turkey meal and the meatloaf meal. They were absolutely fantastic! The turkey is paired with sweet potatoes and Brussels sprouts, while the meatloaf is complemented by mashed cauliflower and peas. We paired our Freshly meals with some Brie cheese, gluten free crackers, raspberries, and strawberries. We brought a bottle of wine and some juices as well. So how do you make a picture perfect picnic? It is not just about the food. In fact, that’s even a pretty small portion of it. You can see in my photos that I chose blues, whites, and tans. Imagine if the flowers here were bright purple. That wouldn’t really go with the overall look. Or picture me wearing a yellow dress. The yellow would clash with the grass and stones. You hopefully get a romantic vibe from these photos (because that’s what I was going for!). When you have a theme, vibe, or goal for a photo, that should dictate what items you choose for your picnic. For example, with a romantic theme, I chose baby’s breath flowers, a simple white picnic blanket, a boater hat, and wore a flowery skirt. If you were wanting a fun and whimsical theme, you might have a more colorful blanket, bright yellow flowers, etc. a tray- because it’s practical when eating food! I hope that helps you plan your next picnic! And of course, you don’t have to be as Type A as I am! Have fun with it and enjoy the art of creating something pretty! Comment below if you have any questions or other suggestions! When was the last time you went on a picnic? Get monthly influencer tips straight to your email!